The most striking lesson from discussions and biting effects of the current economic recession has been that both the state actors and non-governmental individuals now have some awareness about where the rains began to beat us. Besides, people are beginning to draw lessons from almost this newspaper’s almost weekly editorials on the values and indeed benefits of practising federalism whereby the federating states will govern and rule according to the endowments in their locations. One of the most telling stories of self-awareness about economic recession broke the other day when former President Olusegun Obasanjo at a World Pension Summit ‘Africa Special’ co-hosted by The Netherlands-based World Pension Summit Organisation and the National Pension Commission (PenCom) in Abuja noted that at the core of economic recession was governors’ refusal to save for the rainy day. Specifically, he was referring to the governors from 1999-2011 when oil revenue was remarkable. According to the former president whose government faced multiple litigations by governors and Revenue Mobilization, Allocation and Fiscal Commission (RMAFC) over excess crude accounts, government would have laid the foundation for solid sovereign wealth fund if the governors had cooperated with the Federal Government’s initiative to save part of the oil money for a time of economic downturn as we have now. 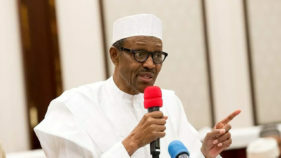 It was in that context that he cautioned President Muhammadu Buhari against investing Nigerian workers’ pension fund, which is building up to almost N6 trillion in risky and unsecured portfolios no matter the pressure or promise of high returns from such investments, so as to guarantee the security of the workers when they retire at old age. This economic recession time is, therefore, not a time for lamentation; rather it is a moment for reflection and critical thinking about how to survive and grow. It is really a time we should be conceptually correct. What is more, it is the time the government ought to be audacious to ensure that the nation’s economy is healthy enough to sustain the citizens. And so all that is needed to ensure, for instance, that wasteful spending and lifestyle are well managed will be supported. Again, those in authorities should note that citizens have been living with some perception that the country is fast receding into a failing state. We must not fail. Besides, there is a terrible assumption that miracles will always bring us back from the brink. This is a dangerous construct as miracles do not just happen to people who do not think and work hard in the fast changing world in which economic management skills are critical. Therefore, instead of the blame game on who is responsible for the parlous state we are, we should face fundamental issues in the years of locusts such as commercialisation and professionalisation of politics in the country. There is no question, that monetisation of politics has been part of the cankerworms responsible for today’s ubiquitous economic woes. And the people have not been raising issues around a calling that is supposed to be for service that has been turned into avenues for looting the national treasury with so much impunity. Now is the time for the people power – to ask questions about wealth, wealth of individuals everywhere without work. What is worse, even most people want to be bribed to vote for our leaders. This is part of the impurities embedded in the common wells. Again, there is a sense in which we should not dismiss points that the only federal constitution we all rely on to manage a complex federation of 36 states and Abuja is part of the problems we must tackle in the long run. This arrangement has failed us. And so the authorities should listen to those who daily suggest now that there must be federalism and concomitant devolution of powers from the centre to the regions where the pre-independence laws and indeed 1963 Constitution set the tone for development that we enjoyed then till the tragic 1966 coup set us back. 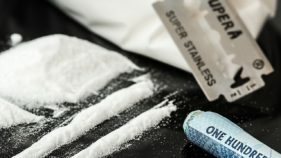 For instance, at a time, the excess crude account had a whopping $22 billion and indeed when some past leaders who are blaming and being blamed at the moment suggested a saving for the rainy day, all the governors then raised hell and brandished the constitution that the money should be shared for all. The state governments actually exploited the loopholes in the constitution and went to court for a declaration that saving was illegal, after all. The excess crude saving account was depleted and behold there is still nothing, no critical infrastructure to show for it anywhere. Although the Excess Crude Oil Account was converted to Nigeria Sovereign Investment Authority by the Jonathan administration to manage the Nigeria sovereign wealth fund, the initial capitalisation of only US$1 billion was too late and so little to be reliable now. That is exactly what Senegal has invested too. Whereas Abu Dhabi that came to Nigeria for a bilateral loan in 1977 for its sovereign wealth fund now has a capitalisation of $875 billion while Saudi Arabia has $584 billion. They are oil producing too. 1977 was the year Nigeria wasted billions of Naira on a cultural exhibition called FESTAC 77. In other words, a federation in which all the federating units converge on the capital every month to share revenue that has accrued to the common purse cannot prosper. Let truth be told to the powers that be now; there is no modicum of federalism in the country at the moment. In a proper federalism, the centre of power should be in the states, not in only one capital that rakes in revenue for all. The states should actually pay taxes to the centre as it was in the 1963 Constitution. The current structure whereby all the states depend on one lean purse in Nigeria is a deception. It is not more than the federal republic of the Nigerian Army only. That is why we will reiterate our regular calls on the authorities to use the 2014 conference report as a guide on the road to restructuring of the federation. And so all issues that do not enhance true federalism should be discarded. There will, therefore, be no lesson in this present economic condition if there is no change in the structure of the federation and the way we manage it. The people of this country have been disconnected and disoriented from the scheme of things, especially as they affect production and productivity. The crumbs from the centre table have been distracting and taking the steam out of wealth creation, which can only emanate from what the people produce in different centres that the states should be. In the main, instead of time-wasting rhetoric on blame game, there should be actionable plans on how to restructure this convoluted federation that has not worked since 1966 when the military regime created a unitary system they have always worked into constitutions they dubiously proclaim “for we the people”. It is a political fallacy that must be discarded for the emergence of a people power, a constitution that can enable power to flow from the states to the centre of the federation as it is with all federations in the world. Once not so long ago (maybe three years), Soyinka said something to the effect that every sub-unit (state, region) should go ahead and develop. Why are we asking permission to develop instead of simply developing? Why are we asking for fiscal federalism instead of simply BEING financially less-and-less dependent on Abuja? In what ways is Nigeria’s current structure “materially” hindering the development of say the South West? Please help me understand, as I don’t know. 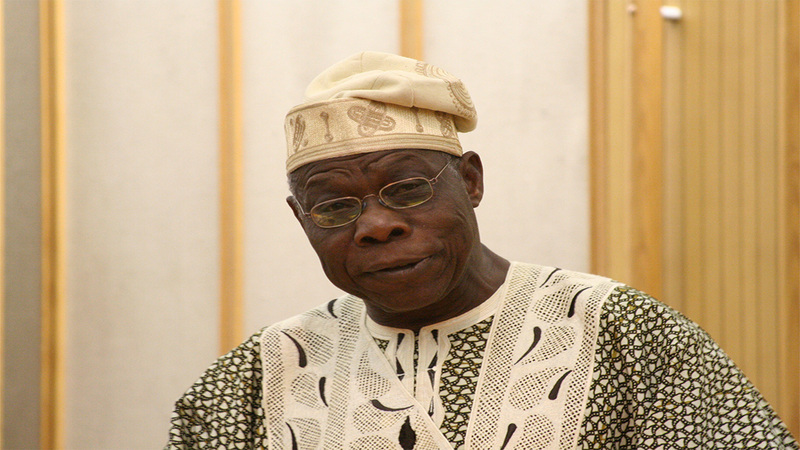 What was the response of Obasanjo when the Governors insisted that the proceeds of the excess crude account be shared. Non. All because he needed their support for second or even third term. Governors under the current constitutional arrangement get what they want, especially during PDP regime, when Governors determined who should be President, Senator, Rep, House of Assembly Member, Minister, Commissioner, LG Chairman, etc. They also determined who got Land, Contract, National Honor, etc. In short Politics or the art of who gets what, when and how is all at the wits and caprices of Governors. Nigerians may have missed the point behind the blatant assertion by one time Governor that he inherited nothing from his predecessor and so he is not going to bequeath a Kobo to his successor. Meaning the notion of saving for rainy days is a mirage. Now who is in for it? The common man indeed. The point is unless there is a new constitutional arrangement in place that would reduce the powers of State Governors what ever fiscal formular evolves would be thwarted by the all powerful Govs at Nigerias peril !!! THE TRUTH ABOUT NIGERIA IS THAT you must find ways to bring back to the political field civilians (retired but not tired) capable of (have) leadership qualities as you had it before the civil war if you want to grow the system as others have done indeed to succeed! A country that needs to develop with ‘Shadow Cabinet’ system as they have it the United Kingdom to serve as a check (watchdog) you jettisoned the idea and went for the American type’ worse is that the system is supervised in Nigeria by military influence who do not have any iota of knowledge of how to manage civilians and the (composite) kind you have for Nigeria – an up hill task indeed! So read on and see the ‘First lady’s’ opinion/ reaction so far! So in simple practical terms from the time the military intervened (entered) in Nigeria’s political scene after the civil war, Nigeria has not been allowed to seek or look for the right political leadership, civil service or infra-structure that can enable sane methods to administer the fortunes of the people in spite of the outlandish natural resources in the country! Muhammadu Buhari and Tunde Idiagbon were motivated to do something in that 1983 Dec. coups but it soon came to an abrupt halt by 1985 under IBB and Sani Abacha and thereafter everything about Nigeria collapsed – Nigeria was turned on its head! It look at a stage as if the order was: To your attends O’ Nigerians regarding corruption as if the order was if you cannot help yourself you have yourself to blame! To make the situation even worse was that intervention by the (IMF) for a SAP for Nigeria and those superviing kew little about what that policy will portend for country l;ioke Nigeria where there were not Infrastructure and industrial developed or established like you had for Japan and China – and all these happened under that leadership that lacked the knowledge or ideas of what it all means! Tude Idiagbo I recall I don’t know about you, that he emphasized on need for re-activation of the primary industries against the (IMF’s) ‘conditionalities’ but how many quite understood what he was talking about then! To make possible the right/ conducive situation to achieve this they proposed the (WAI) policy which could have done the job for Nigeria on corruption! What did Nigerian get for all this – the (SMC) was not Supreme that it was only God that is Supreme (we know that but in the circumstances of the problems in Nigeria folks) but see where we are today in Nigeria still reeling under the weight of the mis-management of the Military between 1985 to 2007 under OBJ! Military officers like we have in Nigeria, are not trained to manage anything civilian even up to present dispensation hence I suggested that they go and understudy what they do in France in their transmutation arrangement if ex-military officers want to take up politics or civil appointments as career to Nigeria purposefully but like I said it – Who do you tell in Nigeria and he/ she is willing! HOW I WISH YOU CAN STUDY MY SOLUTION FOR CORRUPTION IN NIGERIA AND INDEED FOR AFRICA! You’re using my solution for the elections in Nigeria for both your primaries and the main elections whether under (EV) system or not – you are using my ‘Option A-4’ and it is working! It is my intention that the new solution for corruption will work the same way to help matters in Nigeria! The problem I must add is: Who to tell and he/ she is ready or willing to act and do so early! It is happening because of the kind of leaderships that lacks ‘National Orientation’ as I proposed it far back as 1992, folks! I HOPE YOU LISTENED TO THE DISCUSSION ON CHANNEL TV this morning by Barr. 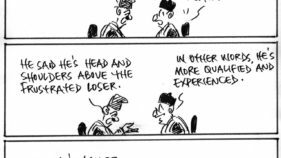 Nnaji and Timi Frank but solutions for the issues discussed have been handed in that early in my contributions – part of them is here so read on! Buhari is being beguiled I said it earlier! What you’re doing now in Nigeria about corruption cannot endure Buhari – somebody should advise you to study my solution against the crime in Nigeria! You’re using my solution for your elections in Nigeria check this from IBB if you want, they should also show you my letter and the attachment to it dated 4th June 2015 and you can see for yourself what is happening about corruption in Nigeria – I mean if they did not show you that letter – just ask for the letter! My case is like that child crying and pointing its finger in a direction to draw attention and the Scriptures tell us that – Righteousness exalts a nation – Pa 132! What you need to consider about these two people is, as ex-military officers whether they are dully elected members of the Senate or of the Lower House otherwise there lies your problem in Nigeria since they are not trained politicians or technocrats to be influenced by the kind of policies to be evolved for the people but, military trained personnel/s, they are in the ‘Kitchen Cabinet’ as, not only cabals but in office by extension on the basis for the furtherance of vendetta and vindictive policies we talked about in Nigeria! If truly they are the influence on President Buhari it only confirms and reminds us about what happened in 1983 – 85 when IBB and Sani Abacha told Nigerians that the (SMC) was not Supreme that it was only God that is Supreme and further, that Buhari was not practicing DEMOCRACY as he claimed with the detentions and arrests so far – a replicate of the experience of that 1983 to 1985! It is not to say (nevertheless) that IBB and Sani Abacha made such desired or advantageous impact for the people in both political and economic considerations! So if what is alleged about influence of cabal is true then there is problem in Nigeria of psychology of ex-military against purely civilian administration towards the deliverance of true democracy for Nigeria hence I raised the issue of when Gen. U. S. Grant and his colleagues decided to leave (retired from) American politics if that gesture or decision would not help matter in the civil service set-up and policy declarations in Nigeria as it is obviously evident in our present circumstances? And recall that I posted the poser earlier: Who do you regard as your political leaders in Nigeria? Think about how best to resolve the social and political problems you have in Nigeria through this poser! To help you for Nigeria, you’re using my sytem for your elections – ‘Option A-4’ exemplified in the election of 12th June 1993, 6th March 2010 in Anambra State hence its return for use in the 2015 exercise and the now subsequent exercises in Nigeria! You will get the same effect as from ‘Option A-4’, in the policy against corruption universally on the people if you adopt my solution for corruption across the spectrum for Nigeria – what you are doing now is selective and superficial – is not touching the root of the problem therefore, cannot solve the problem in Nigeria because when Buhari goes or leaves office the likelihood is that Nigerians will revert to their old ways – the status quo – a question of nothing ventured and nothing gained; it may even exacerbate the crime going by the psychology of the people! Is it not surprising and a matter for astonishment that all this while you have been talking and whaling about corruption and I have been raising this issue on how to check on the crime yet nobody has tried to call for my solution other than the gesture I received from the UNO! TALKING ABOUT RECESSION, SELL OF ASSETS AND CORRUPTION IN NIGERIA we are not told how much foreign exchange (currencies) Governors put into OBJ’s Trust Fund launched in London’s Grosvenor Hotel You’ll probably recall Al-Mustapha’s response when he was quizzed about Sani Abacha’s loots, he said and I quote: “Sani Abacha did so in case there is problem in Nigeria he can then help with the loot!” – what a clever thing and thinking, folks! It is very likely that OBJ could say the same about his ‘Trust fund’ – to help Nigeria when in dare need! So, no better time for this administration in the recovery of foreign funds to demand the return of the share of the Nigerian foreign currencies lodged in the Trust by the Governors to help Nigeria save the Sales of her Assets if you people are serious! We like to see the ‘Wills’ of these two if there is a section in them expressing what Al-Mustapha averred! All this talk of the Excess Crude Oil Account as if it was the solution when it is main purpose is to shore up government revenue in difficult times. There is no single model of federalism that can be applied universally and it is disingenuous to suggest that Nigeria’s lack of development is primarily due to the distribution of function and powers between the centre and states. The facts are clear: there has been a significant failure and inefficiency in governance and administration at all levels. Shifting more functions and powers to the state and local level will not (by itself) reverse the regression in cities, towns, and villages across the country and the quality of life of their inhabitants as long as current values and behaviour persist. Such a cultural (and spiritual change) will take time and requires a concerted plan of action that will be sustained regardless of any change in government. Priority will need to be given to building the scientific and technical know-how and competencies which Nigeria needs if it has any hope of advancing from a mono- non-industrial economy to a competitive knowledge based economy. This means a fundamental shake up of education, teaching and training provision at all levels. Developing a culture of excellence across the public, private and community sectors is central. Nigerian leaders and its people can no longer continue to live in denial and shower themselves with false promises about a “golden future,” when the basics for developing that are absent. Similarly, the old brigade who exaggerate their contribution to Nigeria and who have taken much more than what they have given need to give more space to the young, creative, dynamic and progressive men and women. We live in hope for this to happen ! !